Canon announced the new entry-level Canon EOS 4000D / Rebel T100 on 26 February 2018. The Canon EOS 4000D is an affordable, entry-level DSLR that combines good image quality and a wide range of practical and easy to use features. 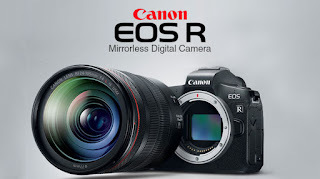 The camera features a large 18MP APS-C CMOS sensor with good low light performance, a feature guide for users new to photography, Full HD video recording, as well as Wi-Fi connectivity to enable quick media sharing.